We offer 3-day Workshops/Retreats in beautiful, unspoiled Polk Co., Tenn. (home of the Ocoee River - site of the 1996 Olympics Kayak events, offering world-class kayaking, white water rafting and trout fishing). Usually our workshops are scheduled for Friday through Sunday to accommodate most people's work, (schedule shown is all like this), although we would be happy to arrange for other 3-day periods for special circumstances, according to our show schedule. Our workshops have a three person maximum (that is a LOT of swinging adzes to watch). - father/son(s) who want to learn together with a real sense of accomplishment. We have taught over 300 men and women over the years. This craft does take a real toll on one's forearms and shoulders, and is more strenuous than it first appears. Every person but one has finished at least one bowl during the 3 days (the one who didn't was a man). 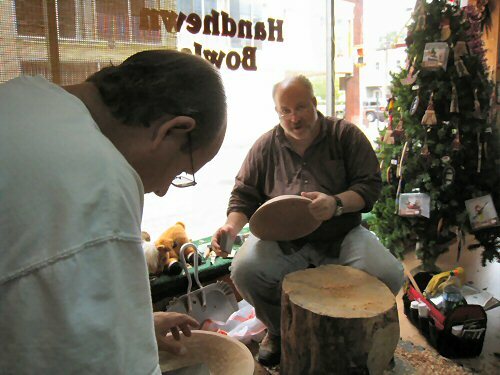 - workshop on complete bowl-making process from sawing log into blanks through finished bowl. - only hand tools (adz, scorp, wood rasp) used. 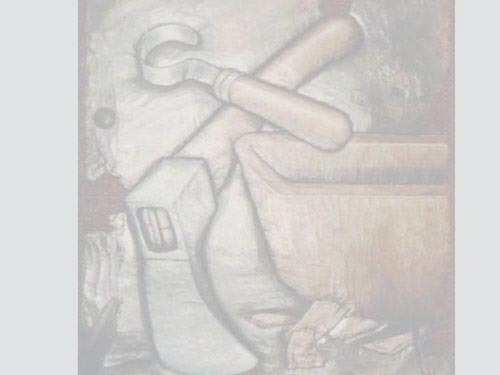 Although we prefer our students to have their own tools, we will loan adzes and scorps during the class, if necessary. There will be a small sharpening fee charged per tool, if loaned. A $100 deposit is required. (Deposits may be transferred to another date, but are non-refundable.) The balance will be due at the time of the workshop in the amount of $300. Other dates may be available at your special request; please check with us. We also have adez designed by Rip available for sale! 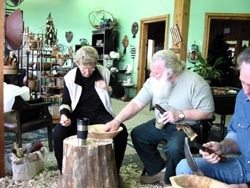 Rip and Tammi Mann have been full-time professional handhewn bowl-makers since 1987. They are collected by several museums, including putting a piece into the Smithsonian in 1999, curators, historians and people who appreciate truly fine, traditional craftsmanship. 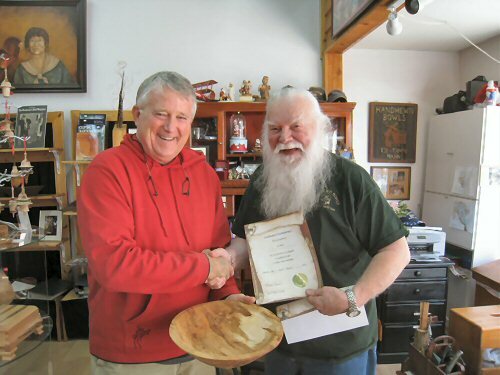 They have helped renew interest in this craft that was in danger of being "lost", both by conducting classes and workshops since 1989 and by authoring two "how-to" books, published by Schiffer Publishing, Atglen, PA.